Atlanta senior living provides answers to common challenges like home maintenance and safety concerns, increasing personal care needs and lack of transportation (which is one of the top issues facing seniors in Atlanta). Options are available to help seniors of varying ages and ability remain independent, active and socially engaged. Senior living in Atlanta provides options for seniors with varying needs and priorities. Transportation services, meals and nutritional support, planned social activities, top-notch amenities and apartment-like communities with beautiful surroundings are hallmarks of quality options. Assisted Living: For loved ones who can mostly live independently, assisted living means just enough help with activities of daily living (ADLs) to keep it that way; residents come and go as the please and can take part in optional social activities and wellness programs. Independent Living: For loved ones who want maintenance-free living in a vibrant community of seniors with top-notch amenities, independent living offers freedom and independence. 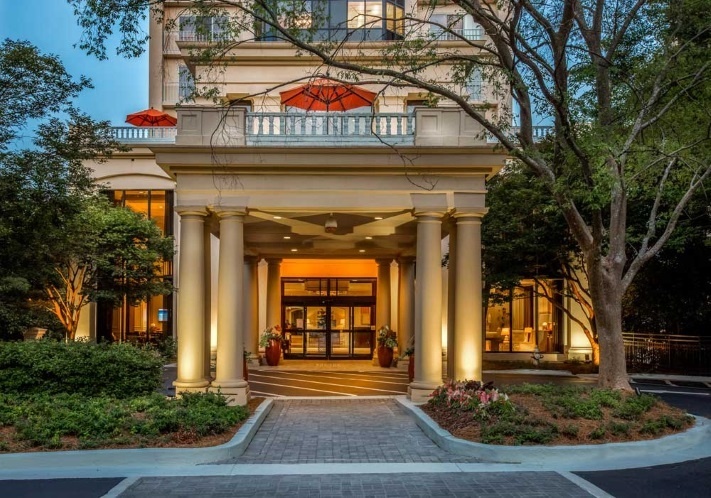 Communities like Renaissance on Peachtree offer assisted living, independent living and caregivers with specialized cognitive care training to make them skilled providers of cognitive health support. Talking to a loved one about their hopes, expectations and concerns when it comes to senior living is an important step to finding the best option. Everyone brings different needs and expectations to their search for Atlanta senior living for a loved one, and these should guide the search. Still, there are a few universal signs to consider. Options: Flexible care options and multiple room layouts ensure that a community prioritizes individualized care — and these options help control cost too. Staff: Staff with specialized cognitive care training that strive to engage and get to know residents are the glue that hold exceptional senior living communities together. Amenities: Wellness centers, fun events and activities, community living rooms and common areas, and exceptional dining options help ensure healthy aging and socialization. Renaissance on Peachtree also goes beyond the normal amenities by offering outdoor patios with scenic views of Atlanta, a library and media center, and a salon and spa for residents. Touring Atlanta senior living and getting to know the people there is a key part of finding the best option for a loved one. Contact Renaissance on Peachtree for more information or to schedule a tour.